I don't know if it's this medicine messing with my head, or what, but I was thinking today what a great idea it would be to take my latest book, A Problem in Translation and turn it into an RPG. Am I really crazy enough to think that this would be a good idea??? This medication they've put me on for my chronic pain has left me in a brain funk. I feel like I'm slightly out of phase with reality at the moment. Everything seems hazy, and my brain seems to just stop at times. I've had bouts of dizziness and I'm even more exhausted than normal. Getting to my grandmother's funeral was quite the whirlwind tour. We left Wednesday just before noon and got into McConelsville, Ohio on Friday morning. We were there for about eight hours...just long enough for me to spend some time with my mom and brother before we went to the funeral. After that it was a very brief family get together, and then we were back on the road because Rebecca had to be at work on Sunday morning at 6 am. We got back to Denver about 9:30 on Saturday night. We basically covered over 2700 miles in about 80 hours. All of this with an 11 year old, a 7 year old, and a 2 year old along for the ride. The most impressive part of this quick trip was the fact that I don't drive, so my absolutely amazing and wonderful wife did all of the driving on her own! Did I mention that she was amazing and wonderful? The actual funeral was well done. My grandmother was a fairly religious woman, so a minister oversaw the proceedings, and although I didn't necessarily agree with a lot of the religious stuff he had to say, it was nice that he actually knew my grandmother. A lot of times, you go to these things and the person conducting the funeral is just reading from notes that have been made by the family, but he used to drop my grandmother's house to visit, and he actually had a lot of us smiling and laughing about some of the things she would say or do. Some people may think that laughter and happiness shouldn't be a part of a funeral, but I personally believe that it should be a celebration of the person's life...and there was a lot to celebrate about my grandmother. She was a very kind person, and a lot of people commented that she was "everyone's" grandmother. Everyone knew they could go to her for anything they needed, and if anyone ever wanted to just stop and visit, she always made them welcome. Now that I've written this, I think I need some more rest, as I'm still exhausted, and it's back to work at 6 am for me tomorrow. And by the way...did I mention that my wife is absolutely amazing and wonderful? Earlier today, my grandmother, Gertrude Hambil, passed away. She was the last of my grandparents, and I can honestly say that next to my parents, she was most responsible for raising me and turning me into the person that I am today. The last few years have been hard on her, and we all thought we were going to lose her a long time ago, but she had a lot of fight in her, and she held on. I never got a chance to see her in those final years, and maybe that was for the best, as I guess she wasn't really the same person. Age does horrible things to the human mind. I have so many wonderful memories of her. Sitting on her lap while going for rides in the country, working in the garden (especially me planting pumpkins), the smell of her bacon in the morning, and so many more. When my mom first called me today, we both agreed that she'd had a good life, and for the most part, a happy life...not too many people can really say that, but she did. The world seems a little emptier today, and she will truly be missed. 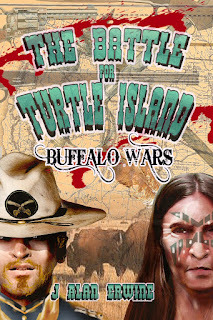 The new game I've been working on for quite some time now, The Battle for Turtle Island will be released on Monday March 4th in trade paperback and as an e-book in various formats. 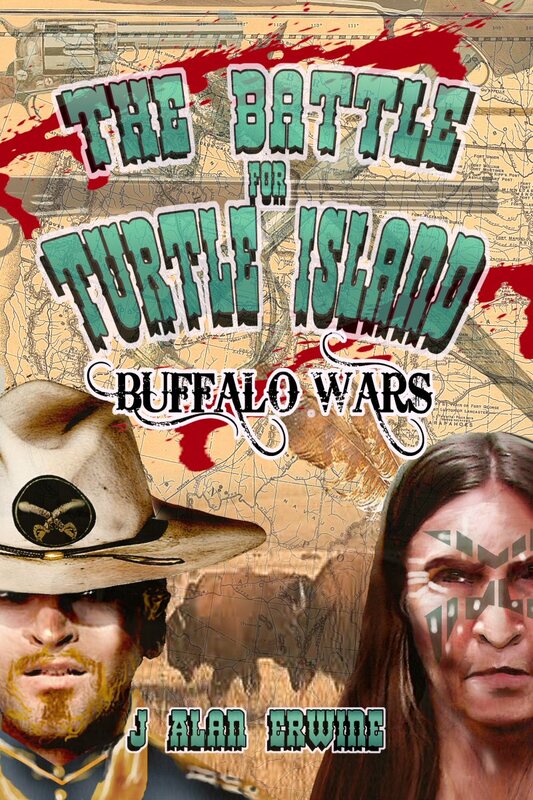 Look for more info as we get closer to the release date. At the beginning of this year I became the Managing Editor for Sam's Dot Publishing, basically taking over the day to day running of the company, which is now owned by White Cat Publications. A lot of people have been wondering what will be different about Sam's Dot now that Tyree Campbell has moved on. The basic answer is...not much. All of the titles that Tyree had contracted will be published in the years to come, and I will eventually be opening back up for novel submissions, and I will be editing those, and we will be releasing those under the Sam's Dot name. Obviously, my editorial focus will be slightly different from Tyree's, but you shouldn't notice a huge change. The biggest change I think anyone will notice is wider distribution, and that's a good thing. I guess you could say, the more things change, the more they stay the same.